It’s the coldest time of the year and summer seems like it’s years away. 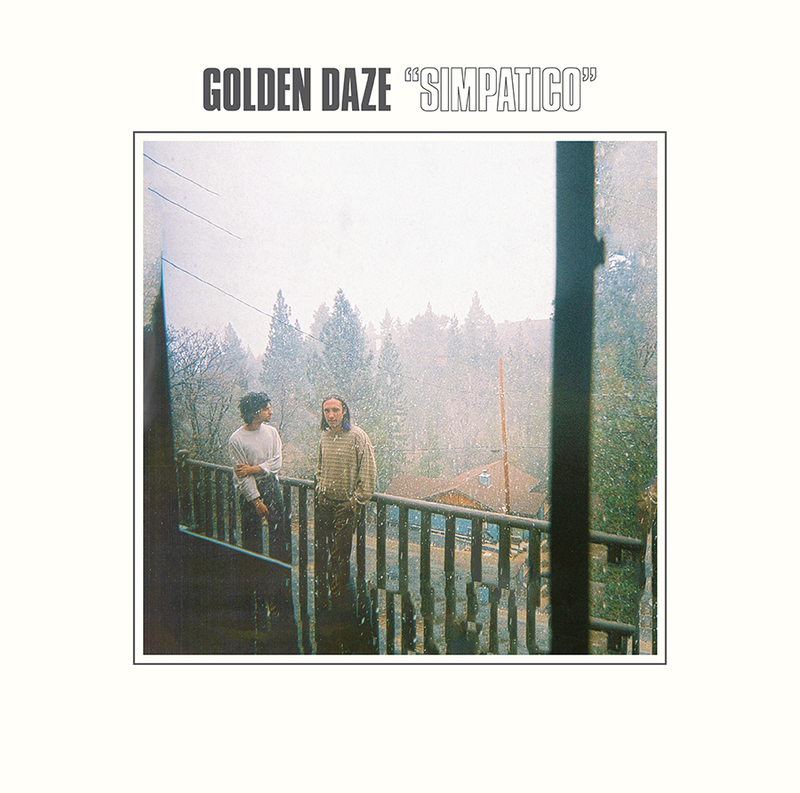 To help escape freezing temperatures, images of a flower-filled prairie come easier when listening to Simpatico, the second album from Golden Daze. This melodic project from Autumn Tone Records features the dual vocals of Jacob Loeb and Ben Schwab, making one dreamy track after another. Living in Los Angeles, via the Midwest, and recording in Big Bear, California, the duo brings indie tones and a folksy vibe to their 70’s-inspired ballads, as can be heard on the second track, “Amber.” It begins with echo-y guitar reminiscent of Beach House; as the music rises and falls, it builds into a short guitar solo before finishing with the same feel as the start. “Took a Fall,” the fourth track, repeatedly peaks, and much like the title falls into more of a folksy acoustic sound. Building to the final fall in the track, the lyrics, ‘Never thanked you for it all,’ when compared to the highs and lows of this song, is reminiscent of looking back on the highs and lows of an old relationship. The ninth track, “Drift” begins with the vibes similar to the band’s self- titled debut album. The uptick here is a nice break from the sleepiness of the earlier tracks. The next track, “Where You Wanna Be,” is also brighter with help of the drums, but the hazy sound of their vocals don’t translate well to that feeling. Finishing with title track “Simpatico,” the duo starts slower and lower than most of the other tracks on the album. The beachy sounds again plateau into synchronized, syrupy vocals that define the album. Near the end, it builds into something else entirely – a snippet of lo-fi riffs that could hint at a return to their roots or the direction of their next project.